After the leading salesman gets squished by a bus, irascible co-workers and their awkward boss fight over his commissions to save their jobs. JANICE - Sharp. Number two in sales. EDDY - Self centered. Last in sales. Sales of a Dead Man at the Santa Paula Theater Center's Plazapalooza 2018. When the top guy on the sales board accidentally-on-purpose lies down in front of a bus, his coworkers clash over what happens to his sales commissions - in particular: who gets to be the new board leader and win a new car, and who will get fired (with possible exceptions for people on the company softball team). 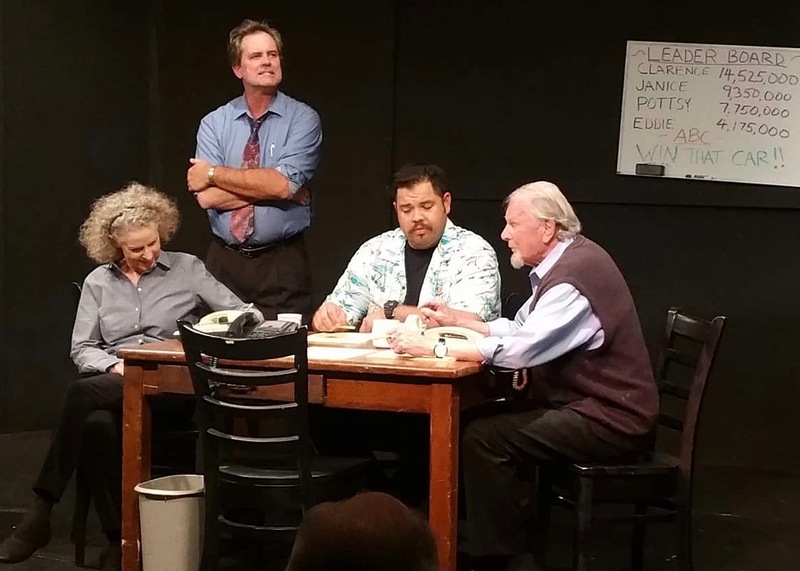 If Glengarry Glen Ross had taken place at Dunder Mifflin... then this play wouldn't be needed. It's available from the playwright, or on the New Play Exchange. 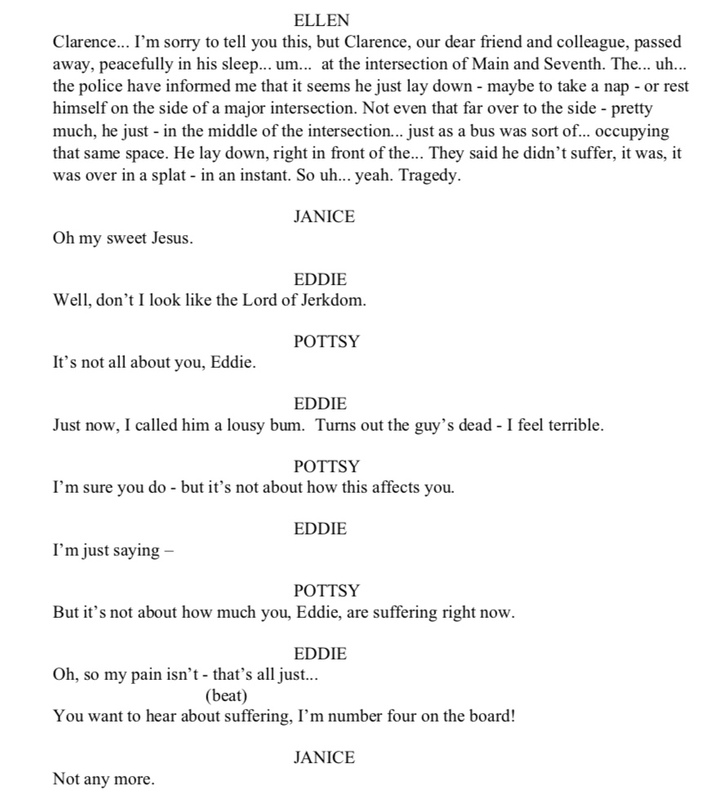 This play won First Place in the Tree City Playhouse 10 Minute Play Competition and premiered in Sylvania, Ohio, May 4th-6th, 2018. 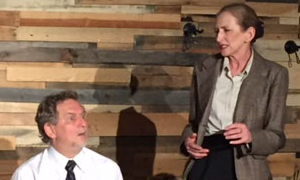 The premiere at the Tree City Playhouse, May 2018. Directed by Keith Ramsdell. The play was part of Playzapalooza 2018 at the Santa Paula Theatre Center in California, May 25th - June 10th, 2018. It was my third Playzapalooza play! Previous years included If You Could Go Back... in 2016, and The Four Senses of Love in 2015. Recent Production at Vanderbilt University! The play, directed by Michael Maerlander, was part of Vanderbilt University's Class of 2022 Showcase in November of 2018.